David Bowie and Queen’s “Under Pressure” is the greatest song he never put on an album. “Under Pressure” is a masterpiece, and a reminder that, for all his alien transformations, David Bowie could also be wonderfully, powerfully human. 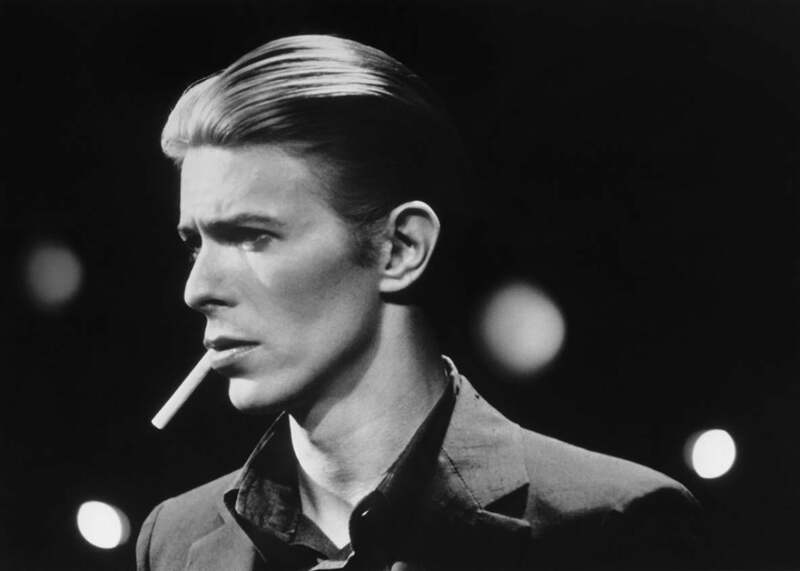 When an artist of David Bowie’s magnitude dies it’s hard to really know the correct response. Every twinge of anger and sadness brings equal twinges of luck and gratitude, and all we can do is wait out the former and try to dwell in the latter. His body of work seems to lie over everything like some warm and beautiful blanket, and maybe it’s all we can do to wrap ourselves in some corner of it and try to dream for a moment. In July of 1981, David Bowie went into a recording studio in Switzerland with Queen and made “Under Pressure,” a song that would become one of his most ubiquitous and most recognizable recordings, even though it never appeared on a proper Bowie album. The song hit No. 1 in the U.K. and cracked the Top 30 in the U.S., then enjoyed a second American life when Vanilla Ice jacked its iconic bass line for “Ice Ice Baby,” which hit No. 1 in 1990. In a great appreciation over at the New Yorker, Hilton Als has written of Bowie’s boundless gifts for collaboration and generosity towards other artists. “Under Pressure” is an exquisite instance of this, but before fully appreciating the greatness of Bowie here, we should pause for a moment to consider the greatness of Queen, as I’m sure he would want us to. Despite being one of the most successful bands of their era, a lot of people didn’t like Queen: Just two years before “Under Pressure,” Rolling Stone’s Dave Marsh had famously accused them of being “the first truly fascist rock band,” and the group’s massive popularity, campy maximalism, and irreverent appropriations of un-rock traditions like opera and music hall prompted a lot of people to view them as a musical and cultural scourge. All those people were wrong, of course. Queen were an incredible rock band, but one whose particular energies and artistry were often the proverbial square peg. Their theatricality was often heard as dishonesty—if your idea of a perfect rock ballad is something like the Stones’ “Wild Horses” (which is great) or Led Zeppelin’s “Thank You” (which is terrible), it’s easy to hear how a song like Queen’s “Somebody to Love” might land weirdly, even though I think it gets at what it’s after as powerfully and honestly as a rock song can. But Queen’s humanism was easy to miss for people disinclined to listen for it. David Bowie heard it, of course, and turned “Under Pressure” into the most insanely powerful piece of music Queen ever touched. “Under Pressure” is credited to “David Bowie and Queen,” but who exactly wrote what has never been entirely clear. The skeleton of the song was dreamed up by Queen’s drummer Roger Taylor, as the rough demo of a sound-alike called “Feel Like” clearly demonstrates, but the finished “Under Pressure” bears only a glancing resemblance—the song’s form and feel have changed almost completely. The first sound we hear on “Under Pressure” is an open hi-hat, and then that bass line, the one everyone knows: skipping and stuttering on the root and then tumbling down to the fifth, like some jittery mirror-inverse of “My Girl.” (Early on Queen’s bassist John Deacon credited Bowie with the bass part; Bowie later claimed Deacon came up with it himself.) Sparse piano chords emerge while percussion snaps and pops: cymbals, clapping hands, snapping fingers. An electric guitar chimes in, outlining the song’s chord progression in sparkling arpeggios. A couple of years ago the Internet went nuts when Mercury and Bowie’s isolated vocals from “Under Pressure” leaked out. It’s a cool document that shows two great singers at the heights of their respective powers pushing each other to even greater ones. Bowie couldn’t sing like Mercury—no one could—but his comparatively mortal range and immense gifts of rhythm and phrasing coax Mercury to unexpected places, and his soaring falsetto imbues bleak lines like “these are the days—it never rains but it pours” with disarming beauty. It’s the most unmistakably soulful vocal Mercury ever recorded, which is a hell of a tribute to David Bowie in itself. But for heaven’s sake, listen to this song with the full band. Queen—not generally an outfit renowned for subtlety—has never sounded so lithe and nimble as they do here. Roger Taylor’s kick drum pulses a disco heartbeat on the 2 and 4, while Mercury’s piano and Brian May’s guitar shimmy and snake alongside each other. “It’s a terror knowing what this world is about,” sings Bowie, but with the music behind him it’s hard to take his word for it. After all, arena rock was never supposed to be able to dance like this. I am not sure anyone has ever written more unabashedly moral lines in a rock song than those. For all the time we can (and should) spend marveling at the Brechtian sophistication and slippery detachments of Bowie’s many career transformations, he was always ours, and always of us. Today I’ll wrap myself in that. This is our last dance; this is ourselves.